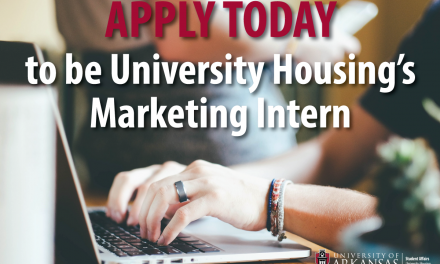 UNIVERSITY HOUSING IS LOOKING FOR AN MARKETING INTERN TO JOIN THE TEAM. 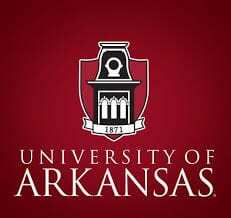 The marketing intern is a University of Arkansas student who works under the direction of the assistant director for marketing and strategic communications and the coordinator for visual communication to advance University Housing’s communication goals. 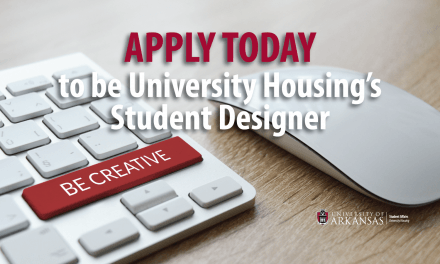 This position is responsible for University Housing’s website and social media presence, including print marketing and creating and editing content online for University Housing’s marketing and strategic communications area. 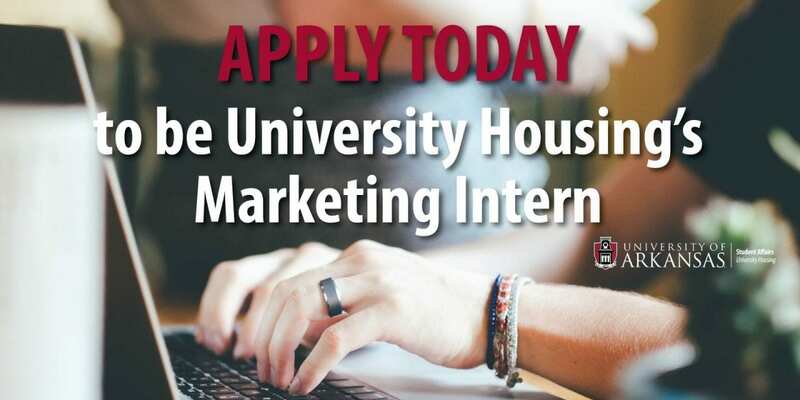 The marketing intern helps in content creation, content strategy and serves as a social media corespondent for University Housing based on administrative or programmatic needs. 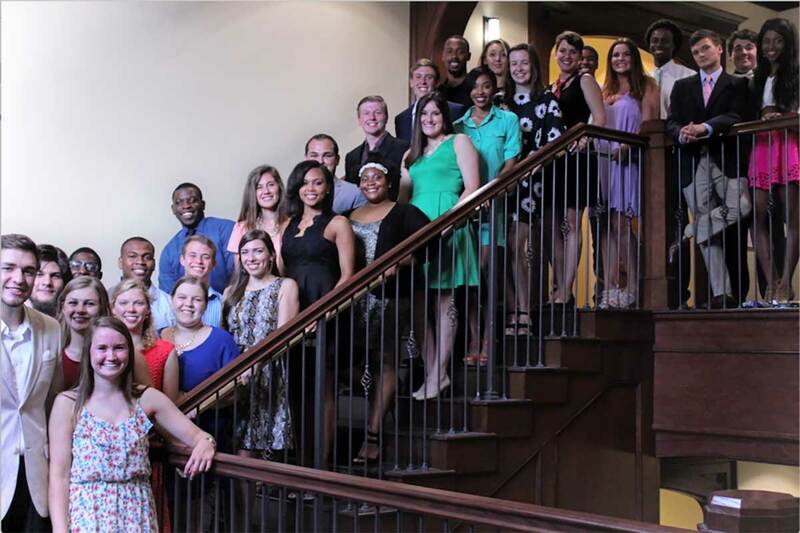 Application closes April 24. 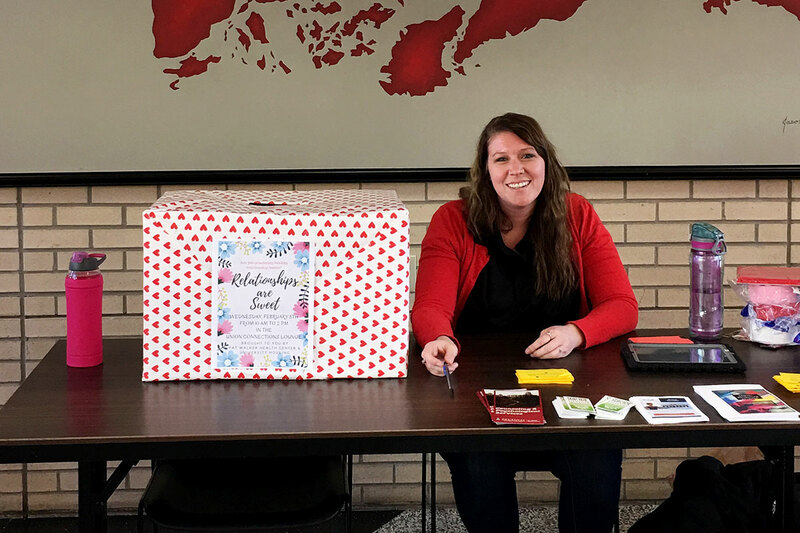 Don’t miss your opportunity to make an impact on your #UARKHOME.